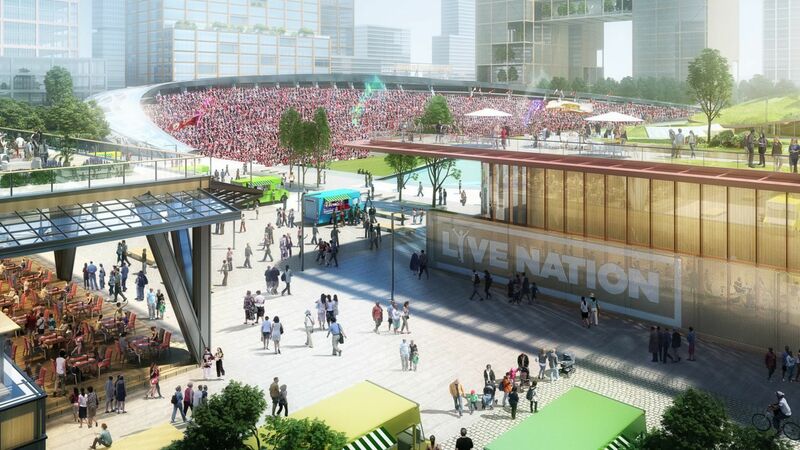 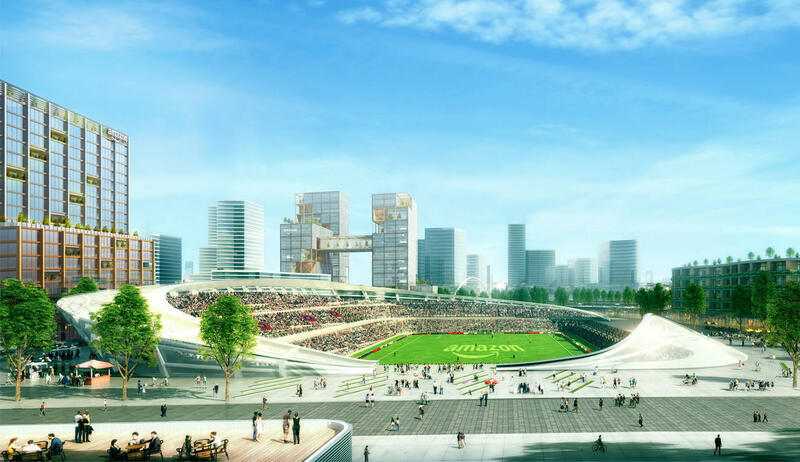 Initially presented in October of 2017, the stadium was announced as part of new Amazon headquarters bid, expected to bring 50,000 high-payed workers to Chicago's revitalised North Side. 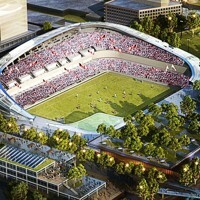 At that point there was no clear indication as to who would use the stadium. 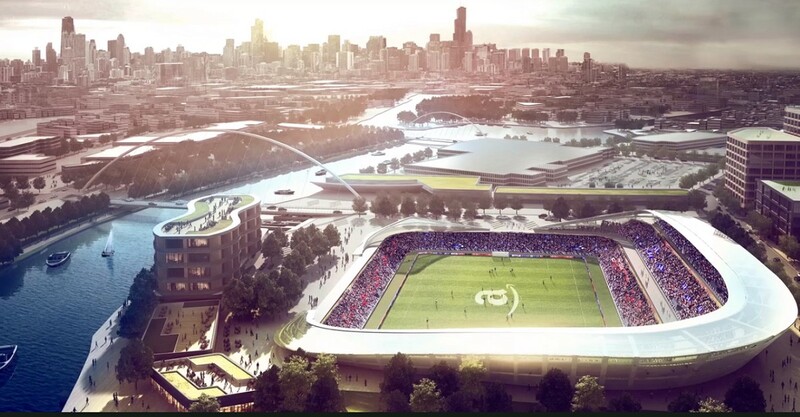 However, by late November the developer Sterling Bay revealed it has acquired a license to establish a team in USL (2nd tier) which would begin playing in 2020. 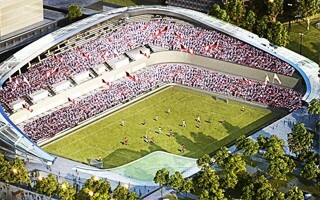 The proposed stadium would be its home. 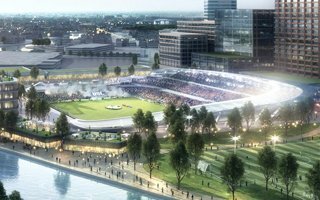 Designed by renowned architects Skidmore, Owings & Merrill, the building was landscaped carefully into the proposed office complex of Amazon. 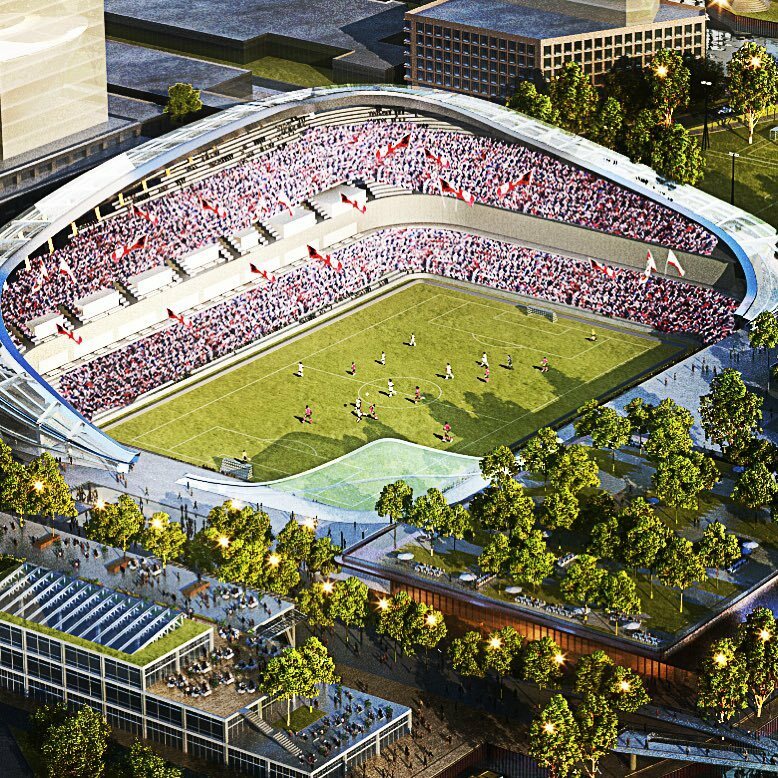 However, its sunken bowl and cascading west stand should not be taken for granted as the final design of this 20,000 could differ significantly, including a retractable roof among other uses. 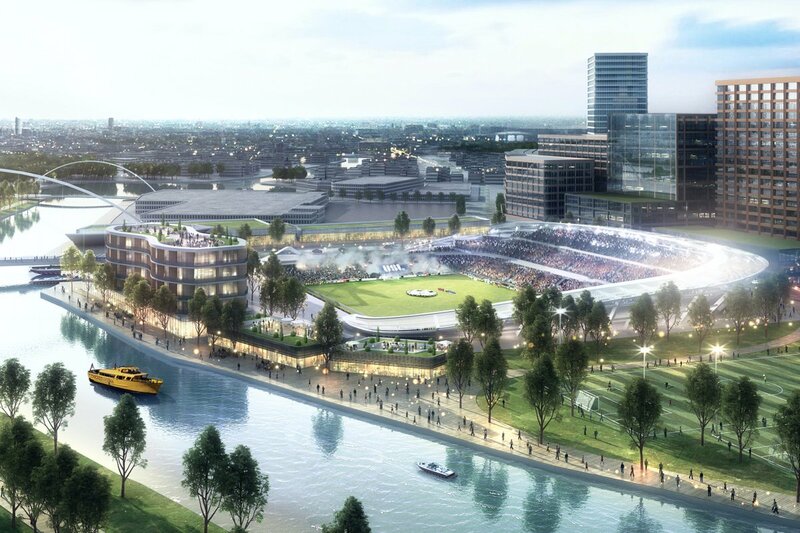 Representative of local community decided he could not agree on a football stadium and thus the 20,000-seater for a proposed USL team has been scrapped from the massive Lincoln Yards revitalisation.